PVCStrip.com offers the largest selection of Colored and Tinted PVC Strip Doors. The translucent and opaque materials provide various levels of visibility, allowing you to control how much privacy the doorway provides. Black, Smoke and White strips are most commonly used for security and high-privacy applications, where you would not want a clear strip that is easy to see through. 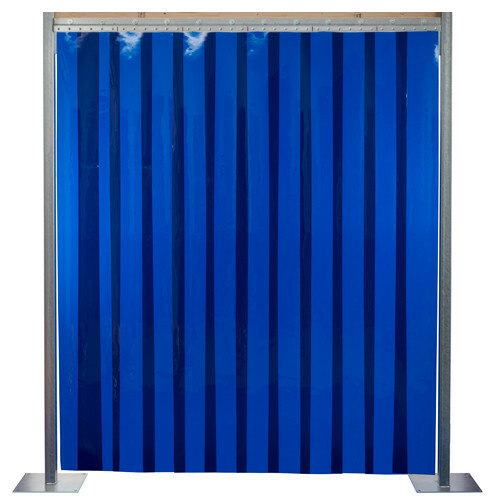 Blue strip doors are a great alternative to standard strip. Our colored and tinted strip doors can be configured to meet the needs of your strip door application. Choose from different strip door options, such as color, strip width, door size, and mounting hardware.